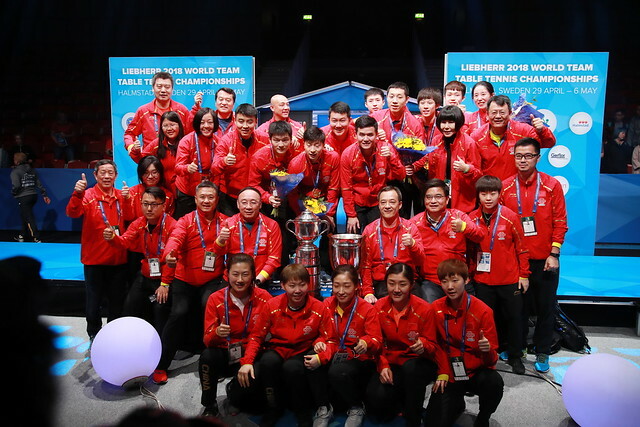 China held warm up matches for their squad heading to the Liebherr 2017 World Championships, as their preparations for the event are in full swing. 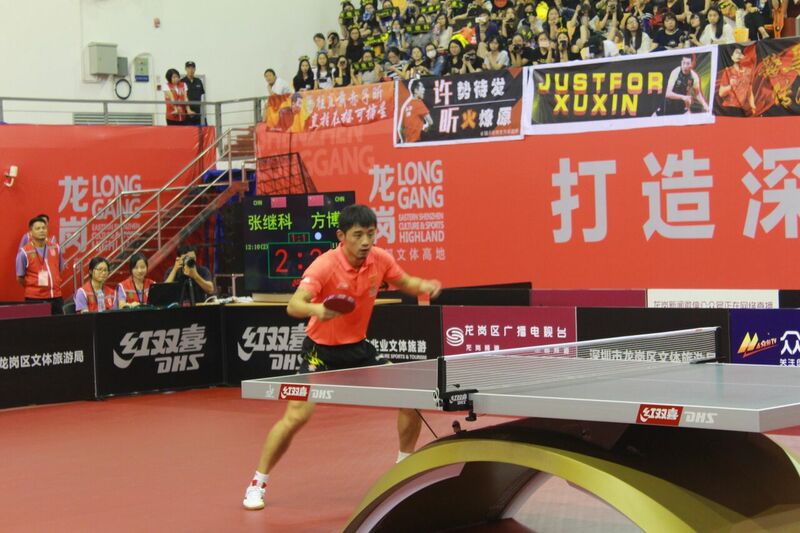 Fan Zhendong is survived a seven game thriller with Shang Kun. We are almost two weeks out from the Liebherr 2017 World Championships and China is leaving no stone unturned as they prepare for the biggest event of the year; with the tournament just around the corner it was time for some practice matches in front of a crowd to create a high pressure environment. Liu Shiwen, who was imperious in the China’s trials for the World Championships, found herself on the losing end of a seven game match against Wen Jia. Her teammates had less trouble, easily seeing off their opponents. Liu shouldn’t be panicking, but after two silver and bronze medals, it may be time to think about what she needs change if she’s to finally stand on top of the podium at a World Championship. Meanwhile Ma Long, a favourite for the men’s title in Düsseldorf, had to come from behind against Shang Kun after dropping the first two games. Now that he is at the top of the game, Ma knows that playing it safe and sticking to the old routine isn’t going to cut it if he is going to keep progressing as a player. Zhang Jike’s backhand is back in action after withdrawing from the Marvellous 12 earlier in the year. Zhang Jike and Fan Zhendong both had to survive game matches. For Zhang it wasn’t the score that was important, rather that he felt his recent training regime was beginning to pay-off. Checkout the full results from the warmup matches below.